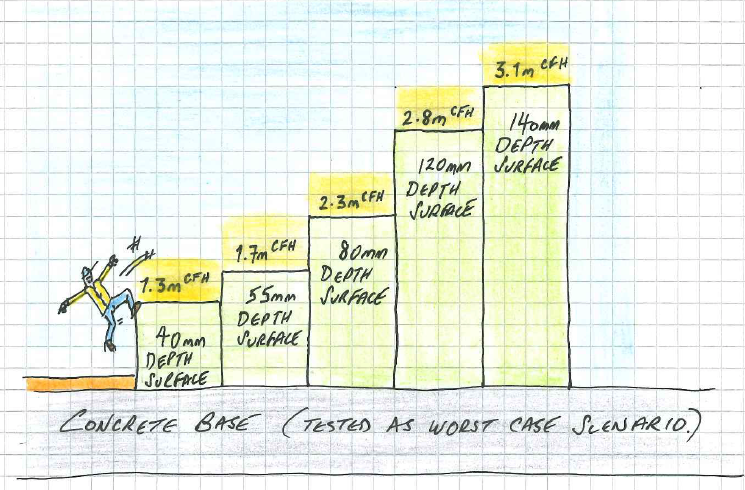 Why do you install safety surfacing at different depths? Poured rubber safety surfaces like JungleMulch (resin bound rubber shred) and RubbaSmart (wet pour) can be installed at varying depths to suit the play equipment they are providing a surface for. If you have a higher piece of equipment, you can install a deeper depth of surface to protect against falls. The protection given by any depth of surface should be certified by an independent testing company. It should also be tested onto a concrete base to give an idea of the worst case scenario you could see on hard ground in a hot, dry summer day or cold, frozen winter morning! If you’d like advice on the required depth of surface to protect against falls for your play area, please feel free to get in touch! You can reach our experienced team directly on 01564 742 811. Have you seen our free guide? The guide has information on all the surfaces we offer! To get your copy all you need to do is click the image below.